John W. (Bill) Day, 87, of Route 1 in Acworth died Sunday. Funeral services were scheduled for 11 a.m. Monday in New Macedonia Primitive Baptist Church in Cartersville. The Rev. Elder Willie Howell was to officiate with burial in Old Macedonia Cemetery. 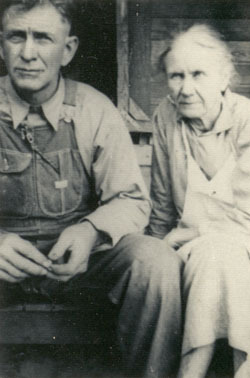 Survivors include his daughter, Mrs. N.P. Cox of Acworth; son, Ralph Day of Acworth; brother, G.T. Day of Calhoun, 11 grandchildren, 15 great-grandchildren; several nieces and nephews. Funeral services for Mrs. J.W. Day, age 80 of Acworth, Route 1, were conducted Wednesday morning at the Macedonia Baptist Church located on the Canton Highway with the Rev. Willie Howell and the Rev. Bartow Abernathy officiating. 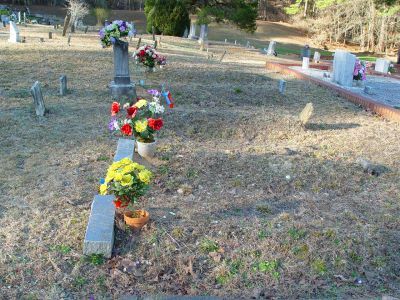 The deceased is survived by her husband; a daughter, Mrs. Norman Cox; two sons, Ralph Day and John Day; a sister, Miss Fannie McCoy of Acworth; 10 grandchildren and five great-grandchildren. Interment will be in the Old Macedonia Cemetery. NOTES: Daughter Beatrice Day is Mrs. Norman P. Cox.